If you or someone you know has been charged with a weapons-related crime, your first call should be to an experienced Chicago weapons attorney. Gun crimes are aggressively prosecuted in Chicago. 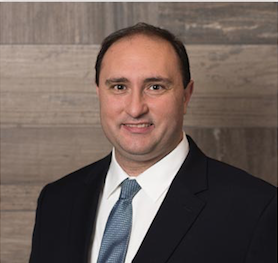 Gus Kostopoulos is a former prosecutor with over 18 years experience in criminal law. This knowledge allows us to offer exceptional legal representation to clients charged with a weapons crimes. an object that could be used in a manner that could cause death. Examples of objects that could be considered deadly weapons – if used in the assault or battery of another – include broken bottles, rocks, or pipes. What conduct, then, is illegal if you own, use, or possess a deadly weapon? Illinois is home to relaxed gun and weapon ownership laws, but also to steep consequences for abuse of those rights. If you are facing criminal charges, call attorny Gus Kostopoulos today to discuss your case. Unlawful Use of Weapons [720 ILCS 5/24-1] is perhaps the most expansive of Illinois’ weapon-related laws. The name of the statute itself is somewhat misleading, as violation does not require the actual use of a weapon. Rather, possession in unlawful circumstances or in certain locations is enough to warrant arrest and criminal charges. Are engaged in gang-related activity. Penalties for unlawful use of weapons are automatically elevated if a convicted felon is found in the possession – whether actual or constructive – of a weapon. Illinois prohibits convicted felons from owning or possessing weapons. This includes those in their own home for protection. Many times, felons are charged with this crime after a search warrant is executed on their home and weapons are discovered by police. A person may be charged with Reckless Discharge of a Firearm [720 ILCS 5/24-1.5] if he or she fires a weapon in such a way as to endanger the bodily safety of another. A person may be charged with Aggravated Discharge of a Firearm [720 ILCS 5/24-1.2] if he or she knowingly or willfully fires a weapon in the direction of another person or into a building or vehicle known to be occupied. In many cases, charges for Aggravated Discharge of a Firearm are brought concurrently with charges for Attempted Murder if a firearm is used in the attempt. In Illinois, it is illegal to attempt to kill another person. Attempted First Degree Murder [720 ILCS 5/8-4(a)] is often, but not always, an offense committed with a firearm. If a firearm is used in the course of the attempt penalties are elevated. If infractions are minor, you may be charged with a Class A Misdemeanor, which is punishable by up to a year in jail and/or fines of up to $2,500. Prosecutors have discretion and, in some cases, may agree to probation for first-time offenders. Most weapon and gun-related charges in Chicago, however, are felonies. The specifics of your case will determine the charges against you, but weapon-related crimes are often charged as Class 2, Class 3, or Class 4 Felonies. Prison time associated with these Felony charges range from one to seven years. a Class X Felony, which is punishable by 30-6 years in prison and fines of up to $25,000. If the target of an attempted murder or aggravated discharge of a firearm the term of imprisonment must be no less than 20 years and no greater than 80 years. Courthouses or other government buildings. If you are charged with Unlawful Use of Weapons at or near one of these locations the term of imprisonment, upon conviction, may be extended by 3 to 7 years. Many weapons and gun-related charges are based on evidence uncovered during a routine traffic stop. If you believe that your Constitutional rights were violated during an unlawful search – which resulted in police finding a weapon in your vehicle or home – you should contact a criminal defense attorney immediately. determine whether a search or your arrest were unlawful. If the prosecution is forced to throw out the evidence obtained in an illegal search or arrest they will be less likely to be able to pursue the charges against you. If you or someone you know has been charged with a weapon or gun crime in Illinois, you should contact a seasoned Chicago criminal defense attorney immediately. A weapon crime conviction can have serious consequences that can affect your ability to enjoy certain privileges in the future. Employers, landlords, and lenders who opt to run a background check will see the conviction on your record and may not choose to approve your application or employment. To maximize your defense, enlist the assistance of an experienced Chicago defense attorney. At Kostopoulos Law Group, our attorneys are dedicated to aggressively advocating for our clients’ rights. We are ready to help you fight to protect your rights and reduce the potential penalties you may face. Call us today for a free consultation. We will review the details of your case, identify potential defenses, and explain your legal rights and obligations.